Break-and-retest setup, anyone? 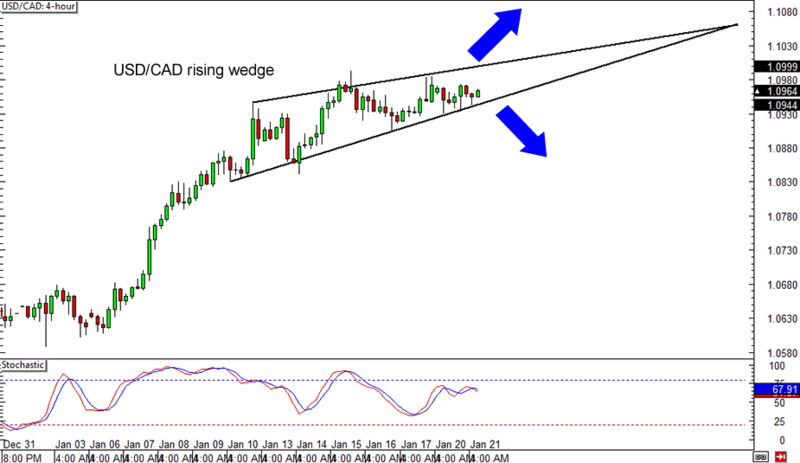 AUD/USD recently broke below a shallow rising trend line on its 1-hour time frame but seems ready to make a quick pullback. The Fibonacci retracement levels on the latest swing high and low on the 1-hour time frame reveals that the 38.2% to 50% Fibs could act as potential resistance, as these line up with the broken support level. And USD/CAD is back to consolidating again! After that stellar rally earlier in the month, USD/CAD decided to chill right below the 1.1000 major psychological resistance and form a rising wedge pattern. Which way could it break out? Stochastic isn’t offering strong clues at the moment, as the oscillator is on middle ground but is pointing down. Make sure you review our lesson on Trading Breakouts if you plan to play this one. 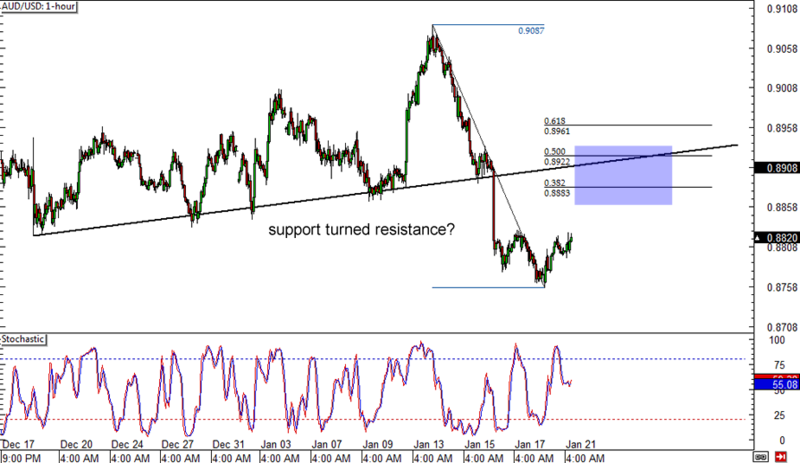 Last but not least is a potential countertrend play on NZD/USD. The pair just bounced off the bottom of the rising channel on its 1-hour time frame and looks poised to test the top. Stochastic is already indicating overbought conditions, which means that Kiwi bears could pounce soon. 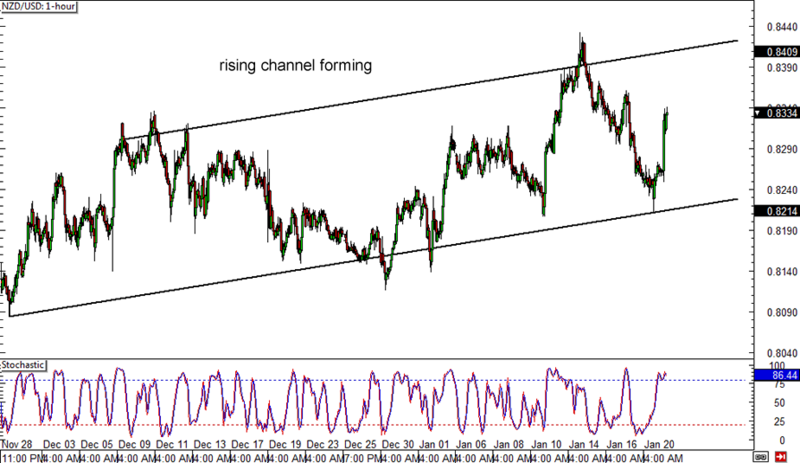 If the top of the channel around the 0.8400 handle holds as resistance, NZD/USD might be on its way back to the bottom!